“The Passenger” video is made up from GoPro footage filmed during the CSP’s 2013 “They Came From Somewhere Else” tour and it is of course, a music video to Iggy Pop’s all time classic of the same name. 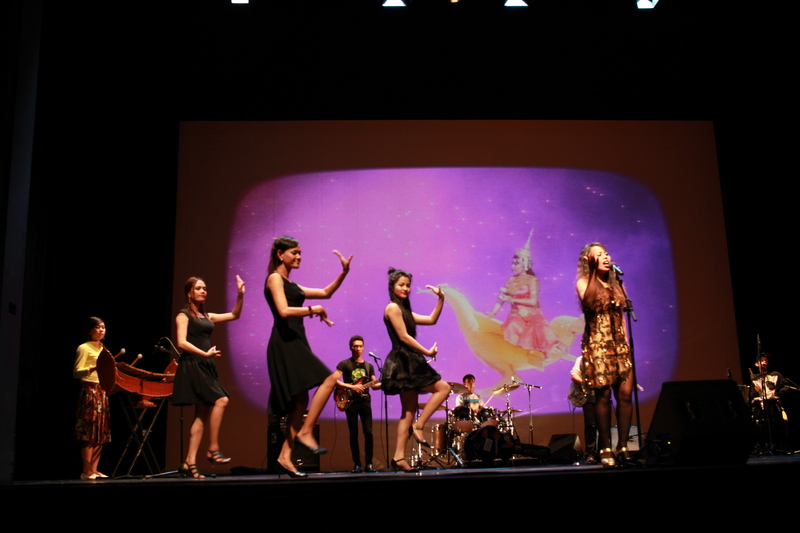 Channthy’s re-written Pop’s lyrical masterpiece (apparently taking lines borrowed from a Jim Morrison poem) to sing in Khmer about her own ‘passenger’ experience – 10,ooo kilometer tour across Australia in the CSP’s “White Whale”. Channthy’s lyrics describe some of the scenes we encountered a long the way including the stunning landscapes, the people, faces and places and she describe all this as a kind of dream, a scene that lifts off from earth and becomes visible again as she travels up through the stratosphere and into some other dimension in outer space – a cosmic trip! At the time of embarkation on They Came From Somewhere Else tour, we saw the road trip ahead of us as a great opportunity for The Cambodian Space Project to write itself into its own kind of odyssey – a humungous road trip from the top to the bottom of Australia covering near 10,000 kms – white line fever – while taking something of our cosmic Cambodian sounds all the way across the central desert and out to the remotest corners of Australia and…. we did it! From Darwin to the far south of Tasmania, The Cambodian Space Project (Aussie line-up with Hugo Cran on drums and Glenn Lewis on bass) loaded up a Britz winnebago – a motor home we dubbed The White Whale for at various times we loved and hated this cumbersome beast – then called in to stage shows in pubs, schools, community halls, backyard bbq’s, outback watering holes, swimming pools and even a truly unforgettable show at Berimah Prison. Opening scenes of the video show asylum seekers imprisoned at the Darwin Detention Centre where we made a visit to perform a concert for the detainees inside and supporters gathered to show support for these refugees and their grim situation. Using a solar powered sound system we projected our music over over centre’s wall and took time to meet and talk to many of the detainees. It’s hard to imagine where some of them might be now and I hope they’re in a much better place but I’m aware many would have been sent on to hell hole’s like Manus Island or back to the very countries they’d been forced to flee. Other very memorable stops along the way included pulling off the highway and into the roadhouse at Wycliffe Well – the self-proclaimed UFO Capital of Australia. According its own brochure, “UFO sightings are so common, that if you stayed up all night looking, you would be considered unlucky not to see anything, rather than lucky to see something”. We didn’t see anything but it certainly felt like a strange place and of course, it’s not too far from the scene of some of most horrific back packer murder stories that haunt the Australian outback. Thankfully, our touring only brought us in contact with wonderful people and not least the indigenous kids at the Tennant Creek swimming pool who appear in this video and who jammed with the CSP set-up for a poolside concert. Last stop was literally the end of the road in far south Tasmania – my old neighborhood – where we were welcomed back by great friends and played on last show before calling it a wrap! another incredible Cambodian Space Project mission accomplished! We met lots of amazing people during the tour and again, flicking back through our video archives, we gotta reach out and thank everyone who helped make this incredible experience happen – not least friends and family but also all the mangers, host and facilitators at each stop – people who kindly went out of their way to make each event special – Awkun! Thom Thom!! Personally, I’m now working on a book – part fact part fiction (simply can’t recall everything) about the CSP’s unlikely but incredible journey. 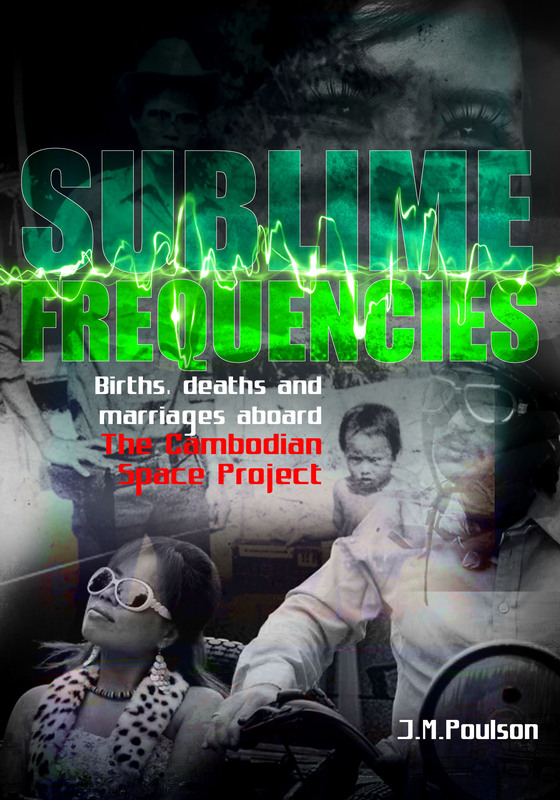 So far the book spans our first 5 years and has the working title Sublime Frequencies: Births, Deaths and Marriages aboard The Cambodian Space Project. It’s gonna take a while to finish this book…perhaps another 5 years… so watch this space for updates.